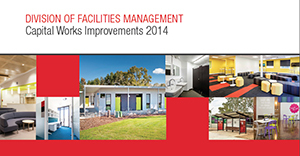 Each year the Division of Facilities Management (DFM) provides the Capital Improvement Report which summaries the capital works delivered across Charles Sturt University. The current Capital Plan sees us transition from predominantly a new build focus (strongly supported by Government Grants funding) to a more refurbishment and adaptive reuse focus. Historically there have been some fabulous transformations of old and existing spaces into new generation learning spaces and we look forward to continuing this work in coming years. We trust you will enjoy these publications and the summary of the capital works that have been delivered within CSU. Further detailed information for each of these projects is available on request. 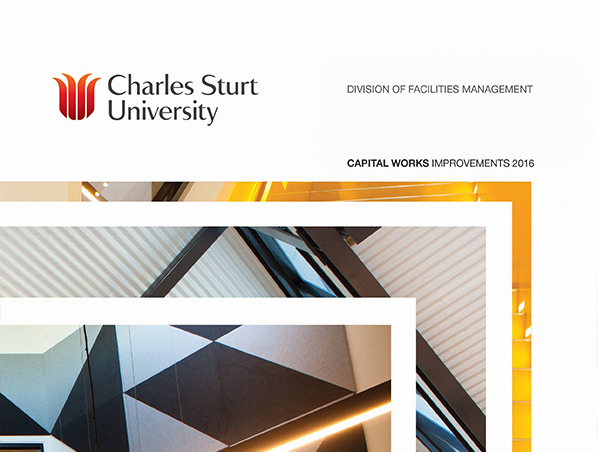 The 2017 Capital Works Improvement Report provides a summary of the capital works projects delivered during 2017 across Charles Sturt University. Our focus in this area will continue to be strong for the next few years as we consolidate and improve our ageing building stock. We trust that you will enjoy this publication and summary of the capital works that have been delivered for 2017. The 2016 Capital Works Improvement Report highlights the depth and breadth of the Capital Improvements undertaken which is now characterised by a higher number of smaller improvements that we have seen in the past. We trust that you will enjoy this publication and summary of the capital works that have been delivered for 2016. The 2015–2019 Capital Plan is well under-way which sees us transition from predominantly a new build focus (strongly supported by Government Grants (funding) to a more refurbishment and adaptive reuse focus. This transition places more emphasis on analysis and review of existing facilities and overlaying new Learning and Teaching directions. Achievements delivered in 2014 showcase the breadth and depth of the work the Division of Facilities Management is involved in and we are proud of the outcomes achieved for staff and students. 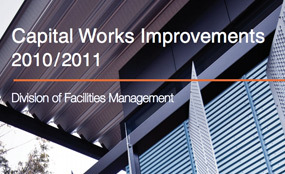 The Division of Facilities Management (DFM) published its first bi-annual Summary of Capital Works in 2012. 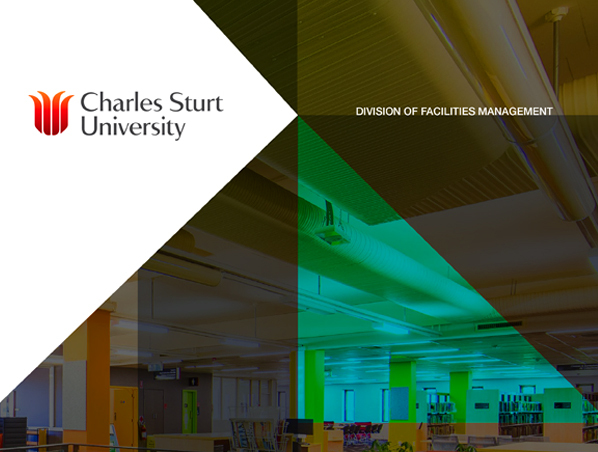 Since this date DFM has continued to deliver strategic and priority projects for Charles Sturt University students and staff across a range of locations. 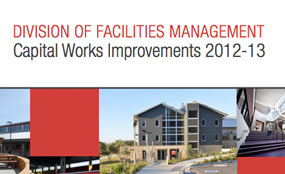 Charles Sturt University has a rolling 5 year Capital Development Plan that the Division of Facilities Management has the responsibility for implementing. Over the past 5 years approximately $250 million worth of projects have been delivered and this publication provides a brief snapshot of the major projects completed in 2010 and 2011.